We nick-named these our Tall-Skinny-Deep Spice Racks. 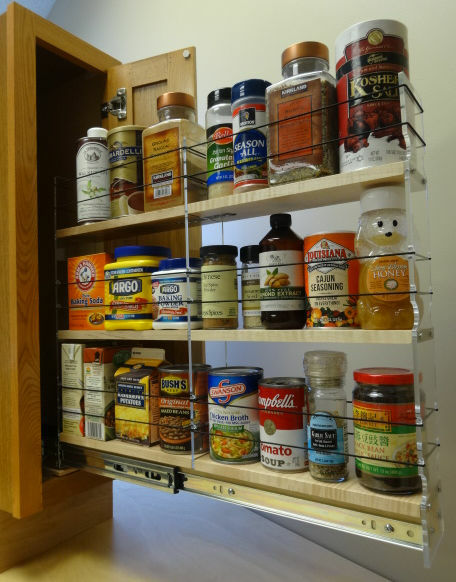 These convenient spice rack drawers help you to easily reach and access those dark, wasted spaces in your deep cabinets. 10 different designs, 2 different materials, Maple or Cream HDPE, 22.25" in depth. Choose from 2.30", 3.45", 4.60" and 5.75" in width and 1, 2 or 3 tiers tall. Flexible sides for easy retrieval and compact storage of containers to the full depth. 100 pound drawer slides are robust and smooth acting. Simple, fast installation with your screw driver and the supplied 4 self-tapping mounting screws. 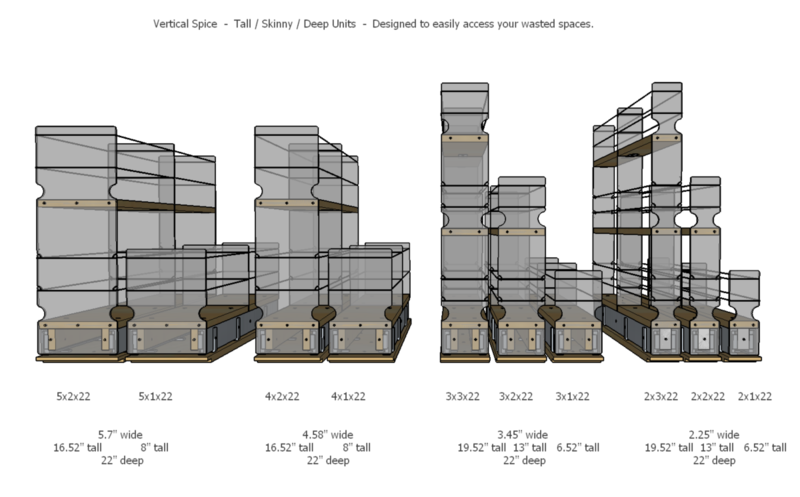 All vertical spice rack units arrive fully assembled with side bands and mounting screws. Each shelf has two 10.7" sections separated by a clear partition in the center. The bottom drawer is 3" above the base bottom.